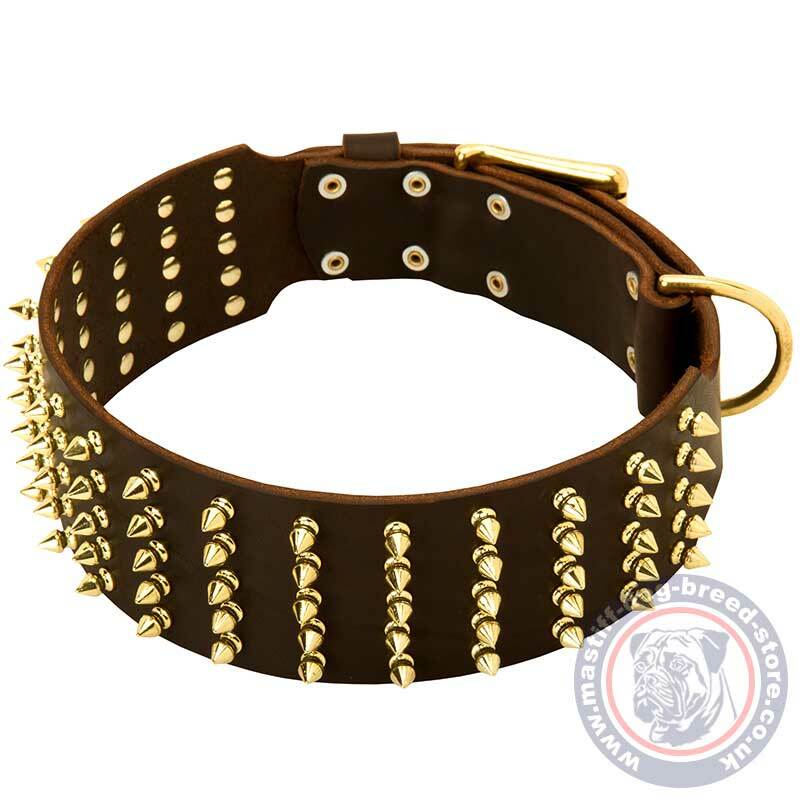 Extra large dog collars for strong Mastiff dogs is a super strong dog accessory for large dog handling with ease. Keep your "beast" under control with comfort and style! 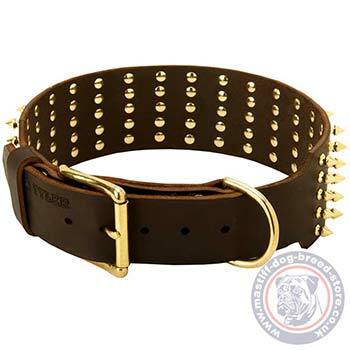 Underline your taste and original dog breed, dog personality with these wide, strong, extra large dog collars with luxury brass spiked design. 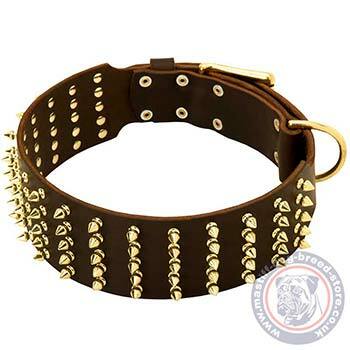 Extra wide dog collars are strong enough to handle your stubborn beggar. Size of these wide dog collars is intended to fit your dog in the central hole. So, each collar has 2 additional holes by the sides of the central hole to regulate the collar size. Extra large dog collars are designed especially for strong dogs to serve a good and long service. That's why they are made by hands of professionals, with use of genuine, well-done leather with polished and waxed edges. 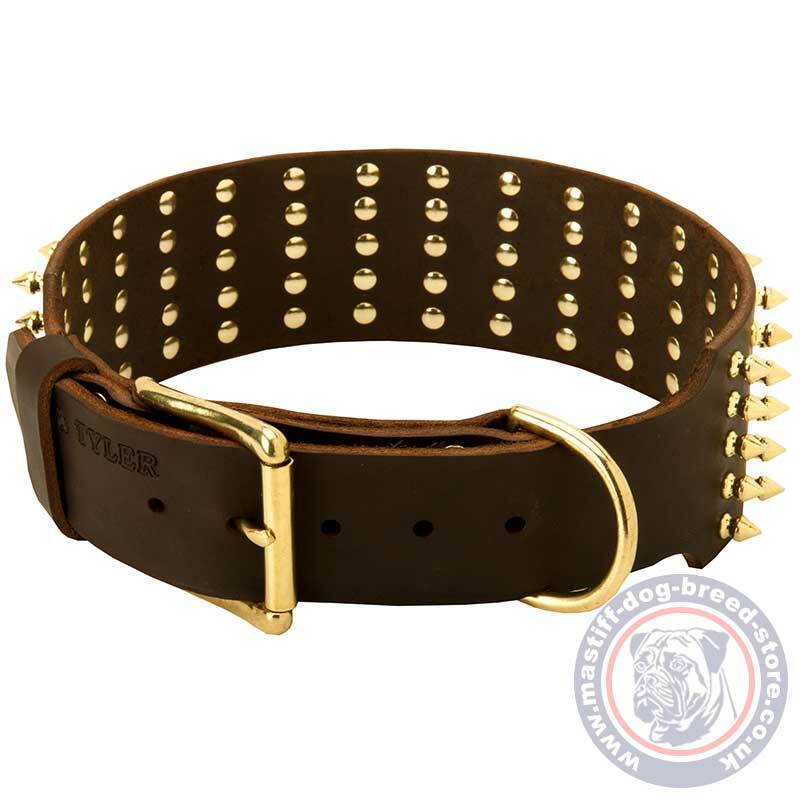 It prevents fray and guarantees long-term use and safety, perfect look of your dog.